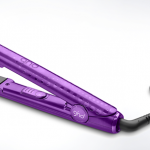 Look at this amazing GHD exchange offer! Bring in an old pair of any make of irons, hairdryers or stylers and get £20 back to buy your new pair of GHD’s! That is an offer not to be missed! © Centrestage 2018. All rights reserved.